Diatomaceous earth, or diatomite, is composed by the silica cell walls of diatoms. There are many deposits of diatomite in North America, both marine and freshwater. Diatomites are commercially mined for many uses. Diatomite is a crucial component of dynamite. Alfred Nobel, who patented dynamite in 1867, discovered that nitroglycerin was more stable if it was mixed in diatomite. The mixture allowed for safer handling and transport than nitroglycerin in its raw form. Diatomite is used in filtration in a wide variety of applications to remove fine particles that can clog other filtration methods. It is used in filtration for swimming pools, fish tanks, and for beer and wine. Diatomite is a non-toxic powder used as an insecticide. The diatom silica absorbs oils from the waxy outer exoskelton of indoor and garden pests, causing pests to become dehydrated and die. Diatomite is even used as a food supplement for humans. 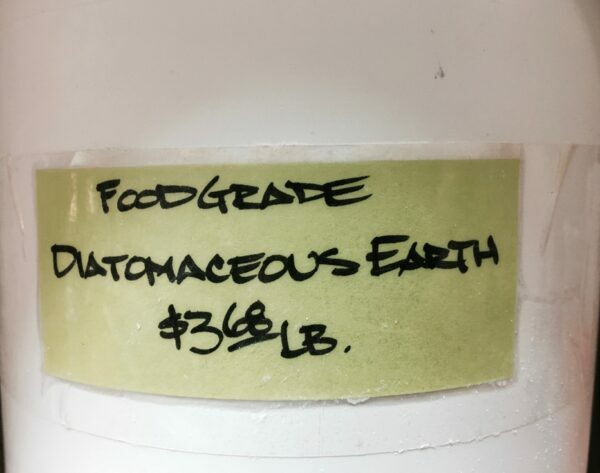 But, even I would not eat diatomite. Would you?